Today, CNN MoneyStream is launching "The Big Idea," a new stream that lets you peek into the minds of leading people in business. Every day, you will see multiple stories appear in your stream that are hand-picked by the guest curator of the week. "The Big Idea" will be curated by Richard Branson, SoulCycle CEO Melanie Whelan, Starbucks CEO Howard Schultz, and many other top business leaders. We're kicking the stream off with T-Mobile CEO John Legere. Legere is a longtime veteran of the telecommunications industry. He joined AT&T (T) after school and went on to head its Asia-Pacific group. Between 2001 and 2011, Legere served as CEO of Global Crossing Limited, a telecom infrastructure company. He joined T-Mobile (TMUS) and became president and CEO of the company in 2012. 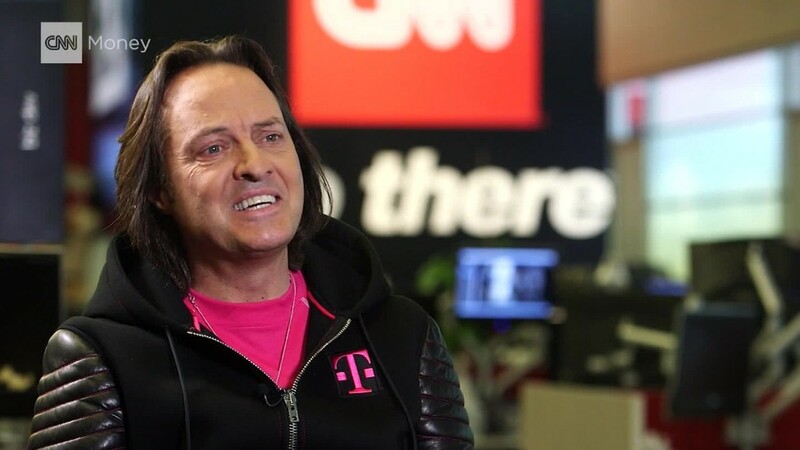 Armed with a brash persona and an aggressive advertising campaign, Legere took the cellular service from fourth-place afterthought to "The Un-carrier." Under Legere's leadership, T-Mobile got rid of annual contracts, added big benefits like "Data Stash" and "Binge On" doubled its customer base. Legere wears magenta, T-Mobile's signature color, every day of the week. His boisterous personality has given him quite a fan base: he has 3 million followers on Twitter (TWTR). Download CNN MoneyStream for all the latest news about all your favorite companies, people, business topics and markets.